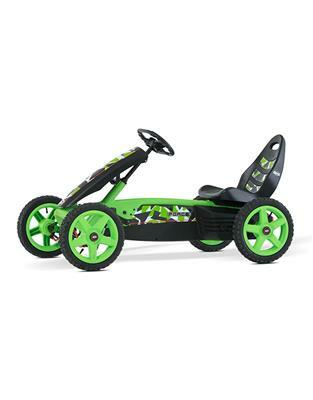 The Rally is the ideal go-kart for children from 4 to 12 years old. This cool, compact go-kart is a great toy and encourages children to want to play outdoors and have fun. Exploring the neighbourhood, organising a race – you can do all this with the BERG Rally. The BERG Rally Force comes in great colours and has a cool front spoiler. 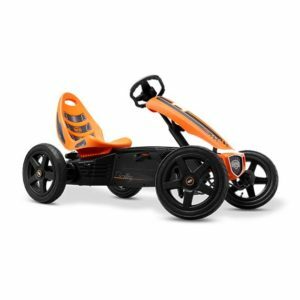 This makes it the ultimate racing edition within the Rally go-kart series. The BFR system allows children to brake using the pedals, but also reverse immediately after coming to a standstill. This ensures more fun and safety. 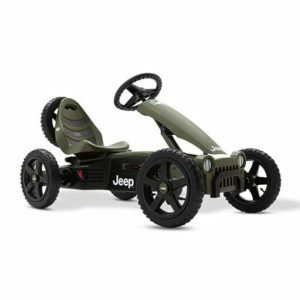 •Equipped with very solid pneumatic tyres for quiet and comfortable driving comfort.